Colonel John Lant Youngs built the Manor as his personal residence in 1904. Not only was Colonel Youngs a master wood carver and contractor, he was also one of Stratford’s Mayors and a decorated officer during World War I. His workmanship is evidenced throughout the home including the quarter-cut oak woodwork and the fine detailing of the fireplaces. In the 1950’s the Stratford Shakespearean Festival began drawing crowds to see the theatre requiring more hotels in Stratford and places for visitors to stay. Birmingham Manor converted over to a bed and breakfast to welcome guests to stay. 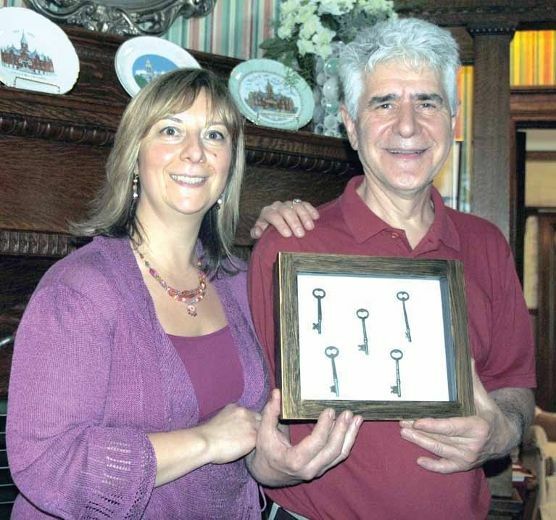 When Dom Tassielli and Elena Pastura bought Birmingham Manor they knew they were getting a great house, but they didn’t know they were investing in an important part of Stratford history. They’ve since come to know just how important the house at 240 Birmingham St. is and have embraced its past. They welcomed neighbours and out-of-towners Saturday as part of the Doors Open Heritage Weekend. About 200 people wandered through the stately home in just four hours. 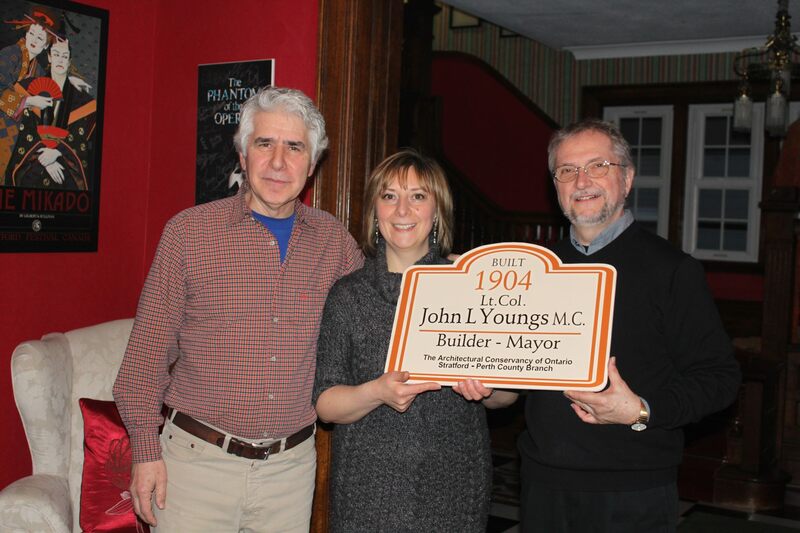 The house was built in 1904 by John L. Youngs–the same builder responsible for many of the most beautiful structures in Stratford including City Hall, St. Andrew’s Presbyterian Church, the old YMCA and the addition on the Stratford Public Library. The beautiful house on Birmingham boasts large windows and stunning woodwork, particularly the bannisters, as well as the original fireplaces. Youngs took great care with his construction projects in general but this project was special to him as it was to be his family’s home. A few years ago, the house came on the market. Tassielli and Pastura had no plans to move to Stratford from Toronto or to run a Bed and Breakfast. But they saw an ad for the house and came to take a look. Now they live in Stratford and run a B&B. What they initially fell in love with was the house itself. “We got attached to this house very quickly,” Pastura said. It wasn’t long before they found there was more to it than bricks and mortar. The history of the builder has become a major part of their attraction to the house. Youngs followed his father into construction and spent his summers, while in high school, working on projects in northern Ontario including several railway stations for the newly created CPR. He married in 1892 and started his own construction company a year later. His work as a builder was put on hold during the First World War. He was commissioned lieutenant of the 1st Battalion which left Stratford in August, 1914. By February 1915, he was on the battle fields of France. He suffered a head and shoulder injury three months later. After he recovered, he went back to the trenches and was awarded the Military Cross for conspicuous bravery during the battle of Mount Sorrel in June 1916. He was promoted to the rank of lieutenant colonel and was in command of the 110th Perth Battalion. His son Jack also fought overseas and was also awarded the Military Cross for his bravery in capturing an enemy machine gun position in June 1916. Unlike his father though, he would not return home. He was killed at Vimy Ridge seven months later. Youngs leadership skills were put to good use when he arrived home. He was elected mayor in 1919. He was an outspoken advocate for ex-servicemen. He died in 1947. His wife Mary bore nine children, two died in infancy. Youngs died in 1947 and his wife died in 1951. They are both buried in Avondale Cemetery. “Ellen Harries, she was born a Youngs, she came and told us about the place, she brought us blue prints and a photo album, the original tea cart and the dinner bell of the house,” Tassielli said. There is also other memorabilia on display in the house including the original keys and pictures of Youngs– much of it given to them by Harries. 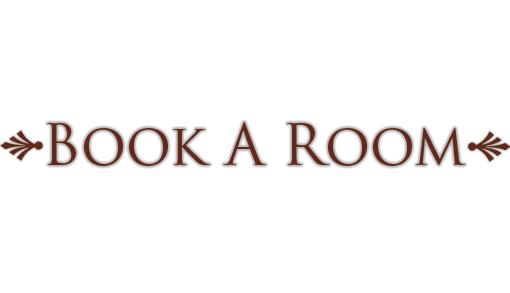 Visitors interested in Stratford history who stay there experience a home that could double as a museum. Tassielli and Pastura now feel a sense of responsibility toward the house. “We have to look after the house as well as the stuff we’ve been given,” Tassielli added.